Hello, job seekers! You’ve polished your resume with the most relevant keywords, you’ve tailored your cover letter to fit the employer’s preference, and you’ve probably already brushed up on interview body language and prepared some answers to interview questions. But what do employers really want? With no doubt, integrity is THE most important quality for long-term success in life and at work. 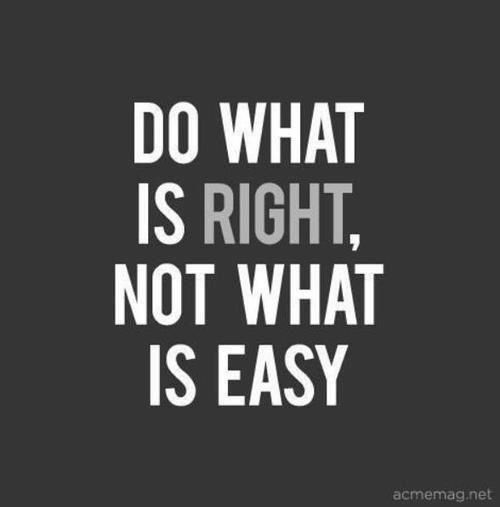 Integrity refers to being righteous and honest. In workplaces, you don’t have to be the fastest learner or the smartest thinker, but you need to at least do the right thing. Be honest in your relationships with others, and handle your work with ethical and moral standards in mind. In brief, integrity means that you are willing to face all challenges in your work and are not afraid to admit your mistakes. Integrity also means demonstrating loyalty and commitment to your work and your company. When a position involves a certain level of customer or client interaction, understand that your future employer will hope to see flexibility in you. A potential candidate’s flexibility is crucial to providing satisfying customer experience. Whether you’re in retail, hospitality, healthcare, community support, insurance or any other customer-facing industries, if you’re not comfortable with flexible work locations or hours, and the unknown factor that customers normally bring, you probably won’t be a perfect fit for many companies. The ability to communicate effectively is another significant characteristic all employers look for. Employers want to make sure that their new hires can at least understand what’s being said to them, and deliver thorough messages when needed. As a job candidate, you must be willing and able to communicate important information, ideas and challenges effectively. When dealing with actual job tasks, being unable to communicate will greatly decrease the productivity of your team and create a negative impact on the entire company. When a future employer looks at you, they want to see passion and enthusiasm in your eyes. They want to see in you a genuine excitement to be a part of the organization. Unfortunately, true passion is luxurious goods, many people only work for a paycheck, but not because of their love for the job. You don’t have to be crazy passionate about the success of the company, but at least love what you do and be passionate about your personal success on the position. Intellectual curiosity makes you a wonderful learner. Employers don’t want you to just do what you’re told, they want to hire self-starters, go-getters, and goal-chasers. Having intellectual curiosity means that you have the urge to keep learning and keep improving yourself. This trait makes you a perfect candidate for the fast-paced working world, and it brings great benefit for both the employer and you as a professional. In this day and age, an employee who will grudgingly adopt a new program is not as attractive as one who is truly passionate about learning new things continuously.